Robotic lawn mowers are starting to become more popular, however, there are still some people on the fence when it comes to whether or not they’re better than petrol lawn mowers. It is difficult to compare two different types of lawn mowers but in the following piece, we are going to explain the key differences between robotic and petrol lawnmowers when it comes to maintaining your lawn. Robotic lawn mowers can’t handle too much grass at once because the cutting deck is smaller, therefore, the amount of grass cut is smaller. Robotic mowers are only a few inches wide so they can only handle narrow portions of grass meaning it will pass over the lawn more times to cover the entire area as opposed to a push lawn mower. Petrol lawn mowers take significantly less time to cut the entire lawn because of its larger cutting deck and the fact that it is moving at a faster pace due to the operator pushing it. There is no worry of the battery running out midway like with robotic mowers which then takes time to charge back up again. Costs are a significant way in which robotic lawn mowers differ in comparison to petrol lawn mowers. Petrol mowers are much cheaper to buy than robotic lawnmowers, however, robotic mowers are cheaper to run than petrol mowers. The price of petrol is not cheap which can be damaging to your funds. Petrol mower engines require a lot of maintenance like servicing & changing components like spark plugs, fuel filters, oil and lots of others. In comparison, robotic mowers are much simpler, you put the battery in the slot and press the start button. The minimal electrical use to charge the electric machine is small which won’t make any significant dents to the owners’ bills. Batteries do wear out after time which affects performance so you may need to get a new battery in a few years. When deciding on a lawn mower, the blade of the lawn mower is an important factor as the wider the blade, the better the cutting capacity and cut quality. Petrol lawnmowers would be favoured over robotic lawnmowers in that regard. Robotic lawn mowers don’t cut your grass in any noticeable pattern but instead, they manoeuvre around in a seemingly aimless manner. This may seem weird but it is very good at cutting all of your lawn, however, if you like those nice lines in your lawn that are left behind with a petrol mower and they are important to you as a landscaping feature, you’ll probably want to stay away from robotic lawnmowers. 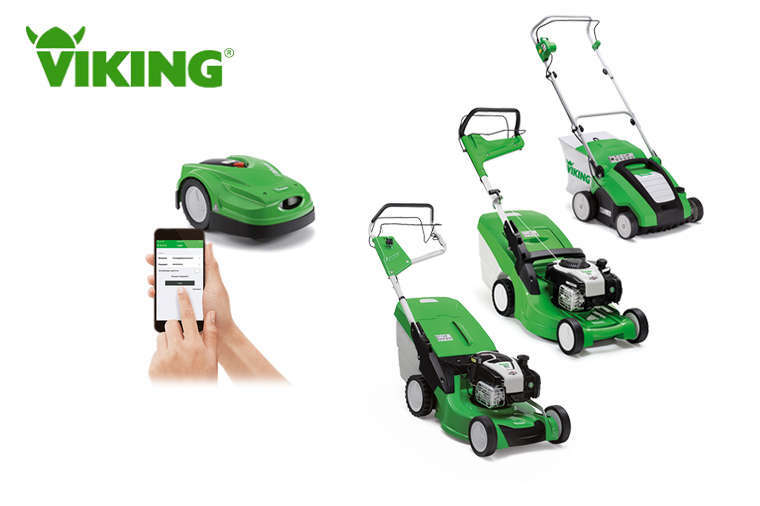 It is necessary to set your priorities when it comes to cutting your grass, take into consideration the above differences and determine what you want to achieve from your mower. If you do not enjoy mowing the lawn, then a robotic mower is perfect for you. However, if you are a lawn fanatic that obsesses over the appearance of their lawn then a petrol lawnmower is ideal for you.